I feel as if I’ve hit a point in my life where I have absolutely no goals. Substantial ones that inspire and feel me with passion. It ain’t a quarter-life (already had it) nor is it a mid-life (not there yet) crisis. Perhaps everyone feels this sense of malaise as they near their thirties? And no plans to have kids yet (that is NOT a solution, despite what certain extended family members might say). Sure, there are other things that I would like to do and frankly, have to do. But none of these are as cool-sounding as getting a PhD in Russian Literature, for example. At the moment, I am anxiously waiting to find out whether there will be a complete change in my daily routine… or whether things will remain, as they have been, for the past couple of months. I’m afraid of the latter. Because then, I’ll find myself again in this mental space: not knowing what I am doing or where I am going with my life. P.S. I realize my past few posts have been way gloomier than my usual exhibited silliness, but this upturn in moods is actually Classic Rafia. My brother even oh-so-lovingly diagnosed me as bi-polar one time! Just watch. Next week, I’ll be raving about cake again! Hang in there! The best of Planners has planned something wonderful for you. Xoxoxo! Been there doing that and it will not stay for long. That phase of – now what? or What next? happened to me and still happens – because I die out of passion of that thing I started – like it can get to a stage of boredom and you are looking for something new. Keep that spirit up and learn new things. Acquire knowledge as much as you can on various subjects and then you will be drawn to your new passion… Not everything we do needs a Certificate of Completion! I know The Best Planner has plans for me, but we can sit and wait right? So wrack your brain and list out all little and big things you want to do, get out and do some volunteering, etc. etc etc. Thank you so much for these encouraging words, Geeky Muslimah! You really have reminded me how much I have to be grateful for. And my smile got bigger and bigger as I read through your comment! Can I give you a hug, please? Man, I think I tried Zumba once. It’s tough, no lie. But then again, I couldn’t even keep up with Old Lady Yoga either. But I get what you mean, working out just has a way of dissipating all that anxiety and pent-up stress. Thanks! That’s what it is! I have these passions, but I have trouble sustaining them for too long, or long enough to do anything substantial, really. That’s something I really need to get out of – this mentality of completing with certificate. You hit the nail on the head perfectly. I’m so obsessed with titles and accomplishments, that’s I’m missing out on the joy of the journey. Thank you so much for your encouraging words, Famidha! I really appreciate it! So true! Thank you. I have to remember this always. Thanks, Baaj! I love you!!!!! I don’t know! But I think it’s awesome possum that we are. SubhanAllah! What’s your number one if you don’t mind me asking? I’m looking forward to it. 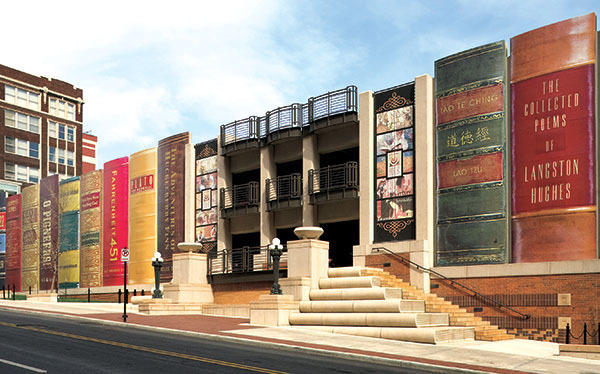 Apparently, the city if home to one of the coolest public libraries in the US! I’m soooo excited! He’s been to Pakistan, but when he was still in high school. I have a feeling he’ll come to embrace it as he gets older. Omg! Lahore has such beautiful architecture! Haha, I totally get your reluctance in terms of visiting America, I’m Canadian by birth! But perhaps we can plan that trip to Italy at the same time, eh?